The manager of DCU’s student bar Nubar has denied claims made on social media that the bar will close on Good Friday, despite the ban on the sale of alcohol being lifted. The popular student bar gained attention from Facebook users after posting a status to their official account stating that the staff members have decided to not open that day. It also attracted attention from media outlets, as news sites Joe.ie and LovinDublin.ie both published articles branding Nubar as the only pub as of yet to ignore the removal of the ban on alcohol from legislation. The status, which has received over 50 likes, read “So news in, the sale of alcohol is OK on GOOD FRIDAY… well here at NUBAR our staff are important and always enjoy good friday off so we won’t be opening good friday our hard working staff will be taking a friday off to spend at home and chill something they don’t often get to do #weloveourstaff #wecare #onedayayear #restup #openenoughallyear”. However, Nubar’s manager Vincent Mac Niallais has said that the status is not true and was uploaded to their Facebook page by a staff member without prior discussion, and that himself and his staff have not yet made a final decision on whether to open or close. The Dáil recently passed legislation to allow the sale of alcohol on Good Friday and has since been referred to President Michael D. Higgins and signed into law, therefore coming into effect this year. Minister of State David Stanton told the Dáil that removing the ban on selling alcohol, which has been in place since 1927, would help to boost Irish tourism during the “busy Easter period”. 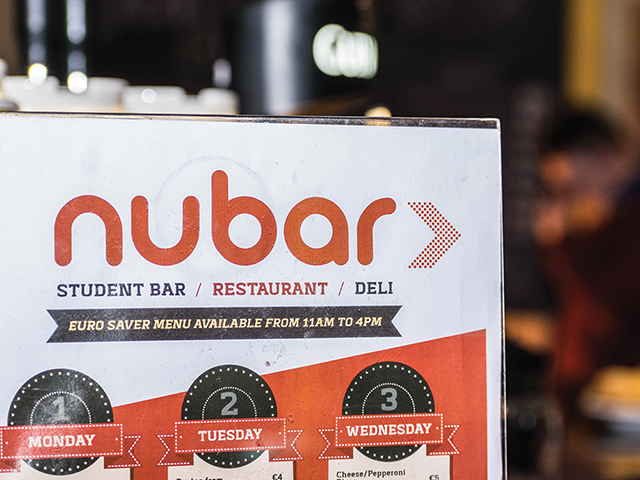 DCU Students can expect to be notified on Nubar’s decision to either open or close on Good Friday sometime in March.